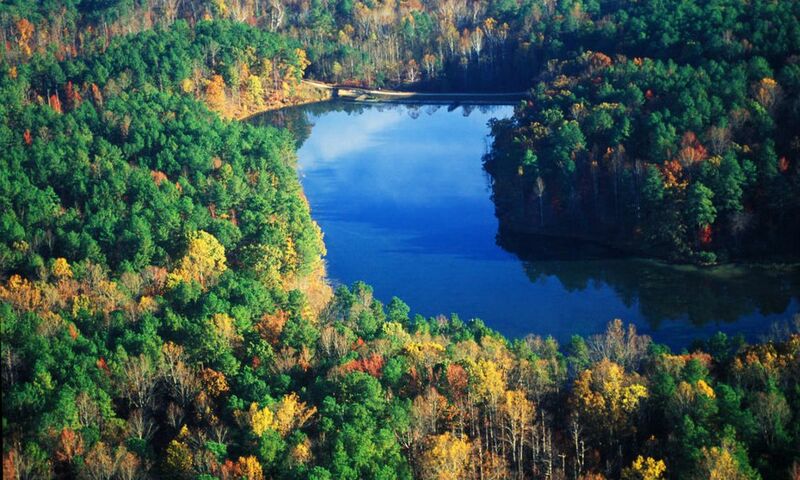 Parks & Lakes in Raleigh, N.C.
Long known as a “city in a park,” Raleigh, N.C., continues to impress visitors with its lush environment and many offerings for outdoor recreation—more than 10,000 acres of parkland. While the city bustles, the serenity of its surroundings permeates the area with natural parks built for sports and exploring, vast greenways conducive to cycling and taking in the sights and beautiful lakes that encourage the ultimate relaxation. To get you started, we’ve listed a few highlighted parks and lakes, and there’s also a full, searchable list below! 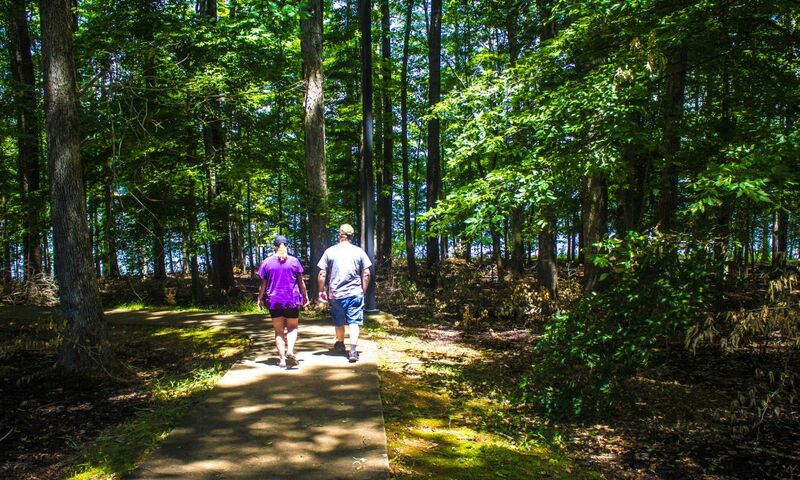 N.C.’s most-visited state park, William B. Umstead State Park remains a peaceful getaway thanks to its sheer size—more than 5,000 acres of forest, trails and lakes. With 13 miles of multi-use trails that follow a series of rolling hills (perfect for horseback riding, jogging and cycling) and 22 miles of dedicated hiking trails, this is a must-hit destination for outdoor enthusiasts. 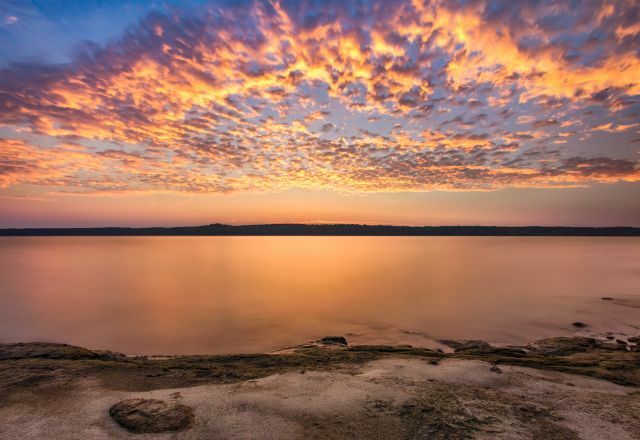 One of the largest recreational facilities in the state, Falls Lake State Recreation Area is a collective of seven access areas scattered around the shoreline of an undeveloped, 12,000-acre reservoir. The Beaverdam access offers a sandy swim/beach area, a network of more than 14 miles of mountain biking trails and a separate, quiet lake reserved for kayaks, canoes and stand-up paddleboards. Sandling Beach also offers a swim area plus boat launch for non-motorized boats. Plenty of picnic sites with outdoor grills and tables make this a popular spot for families and groups. Established in 1887 and designated as the first public park in N.C., Pullen Park in Raleigh sits nestled between downtown Raleigh and the main campus of North Carolina State University. Known for terrific recreational opportunities—especially for kids and families—the park includes an operating carousel built in 1911, a miniature train you can ride through the park, pedal boats to cruise around Lake Howell, plus tennis courts, baseball and softball fields, an arts center and an innovative performing arts venue, Theatre In The Park (Ira David Wood III Pullen Park Theatre). At 164 acres, the Ann and Jim Goodnight Museum Park is the largest museum art park in the country—and it doesn’t disappoint. 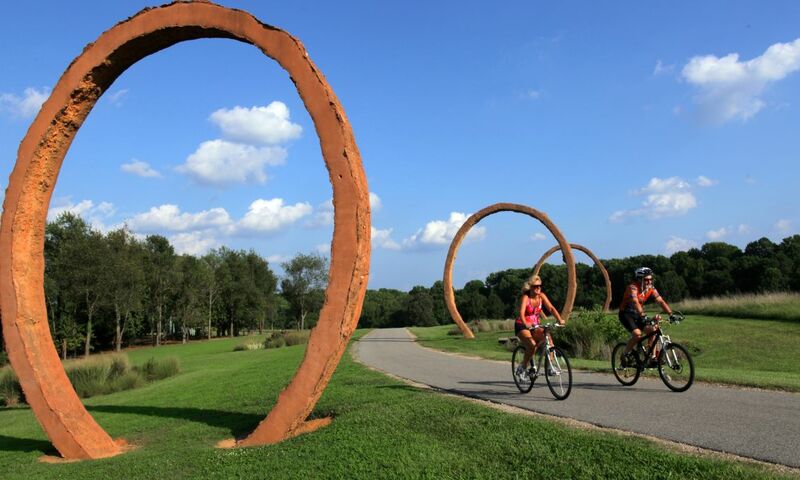 Connecting art, nature and people, the park features larger-than-life temporary and permanent public art installations, environmentally sustainable landscapes, colorful and contemporary gardens, miles of recreational trails, a terrace pond more. Explore on foot or by bike, pack a picnic and be sure to savor your time in the park (and don’t forget the museum has free admission as well). This 215-acre haven (and 520-acre lake to go along with it) was the first county park established here, and it offers tons of recreation opportunities—some of the area’s best mountain biking trails, a boat launch open year-round to the public (plus water sport rentals available), a fishing pier and a large, open play area that’s great for picnics, too. 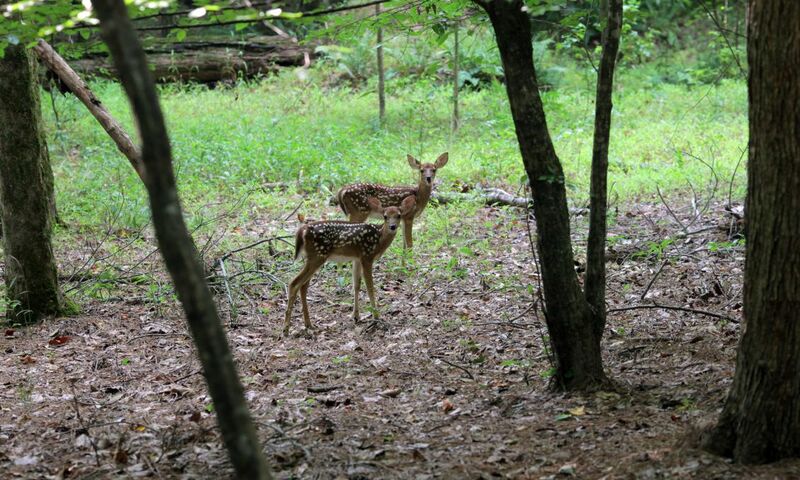 The park has easy access into William B. Umstead State Park as well as a connection to the Town of Cary’s Black Creek Greenway for even more exploring options. One of the largest municipal parks in the area, Bond Park&apos;s 310-acre facility in the town limits of Cary has picnic shelters, athletic fields, hiking trails (a two-mile loop around the lake, plus a shorter trail where dogs can go off-leash), a playground, a 300-seat amphitheater and a challenge course (reservable for groups of eight or more). The boathouse rents out pedal boats, sunfish sailboats, rowboats, kayaks and canoes, and a boat launch allows non-gas powered, private boats less than 16 feet to be launched. Bring a picnic, too—a perfect deck with plenty of tables and umbrellas looks out over the lake.